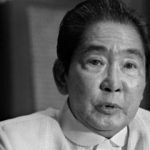 MANILA, Philippines (UPDATED) – The late strongman Ferdinand Marcos is set to be buried at the Libingan ng mga Bayani (Heroes’ Cemetery) on September 18, according to a news report. The Philippine Star on Saturday, August 6, quoted the dictator’s son, former senator Ferdinand “Bongbong” Marcos Jr, as saying that President Rodrigo Duterte has “given the go-signal” for his father’s burial at the Libingan after a meeting with him earlier this week. Marcos Jr added that his family is already coordinating with the Armed Forces of the Philippines (AFP), which has jurisdiction over the cemetery. Palace officials, however, were mum about the event. Asked to confirm it on Saturday, both Presidential Spokesman Ernesto Abella and Palace Communications Secretary Martin Andanar said they have not heard discussions on the matter. “Wala po tayong update regarding that….Wala pa pong napag-uusapan patungkol diyan (We have no update regarding that….Nothing has been discussed regarding that),” Abella said in an interview on state-run Radyo ng Bayan on Saturday. He declined to confirm the September 18 burial date, saying that this “has not been formally discussed,” apparently referring to the Duterte Cabinet. Among Duterte’s Cabinet officials, at least one is vocally opposed to the plan, Vice President Leni Robredo. 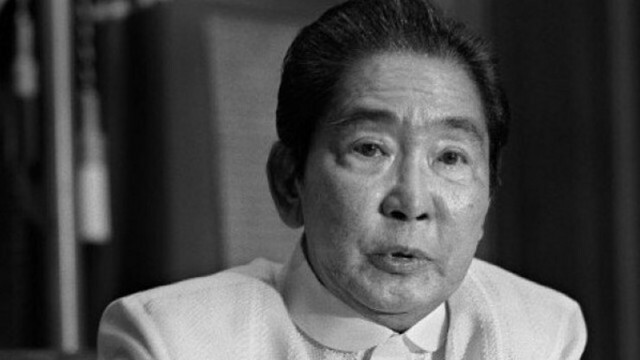 The transfer of the remains of the 10th Philippine president – from a mausoleum in Ilocos Norte, Marcos’ home province – will reportedly take place on September 18, a week after his 99th birth anniversary, said Marcos Jr. The Heroes’ Cemetery is the designated resting place for Filipino soldiers, war veterans, and citizens considered as heroes and martyrs. There are, however, exceptions to who can be buried there, under guidelines set by the Armed Forces of the Philippines. In a historic case against the Marcoses, a Hawaii jury awarded $2 billion to nearly 10,000 human rights victims of the Marcos regime in 1995. The elder Marcos’ burial at the Libingan has divided the country, facing strong opposition from the families of martial law victims. Youth groups last month also staged a protest at the University of the Philippines against the planned burial. In May, relatives of those buried at the Libingan are even considering moving their loved ones out of the cemetery. However, Duterte has supported Marcos’ burial at Libingan, saying that it would initiate “healing” among the Filipino people.